After the events at Dranuur, the Tzenkethi have become even more aggressive. Their new campaign of bombing planets from space has become top priority for the Alliance to stop. Each of the major Alliance factions have attempted to reach out to Tzenketh, with no progress. In response, a joint force is being organized to repel the Tzenkethi Fleet, to stop them once and for all. In “Scylla and Charybdis”, you will hunt down the Tzenkethi fleet to end their crusade. Along with allies, old and new, you will strike at the heart of the fleet and decide the fate of the Alpha Quadrant. 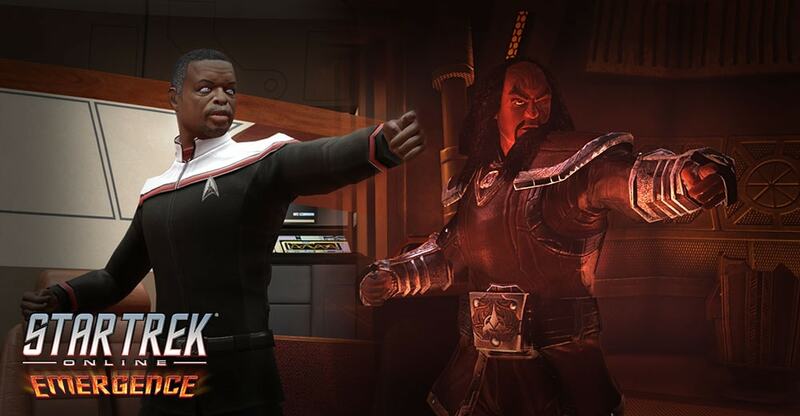 Join General Martok, Captains La Forge and Kuumaarke, against the genocidal foe. “Scylla and Charybdis” will be released with our Eighth Anniversary. For a limited time, the episode will be available to all players level 10 and up (Romulan players must have selected a faction). After this, it will be in our normal mission journal progression. Captains on Xbox One and Playstation 4 can earn double the experience this weekend!